All TWO BILTMORE ESTATES 2ND homes currently listed for sale in Phoenix as of 04/19/2019 are shown below. You can change the search criteria at any time by pressing the 'Change Search' button below. "*See Virtual Tour in Photo Tab* SELLER OFFERING INCENTIVE PACKAGE W/ PURCHASE! HIGHLY MOTIVATED! 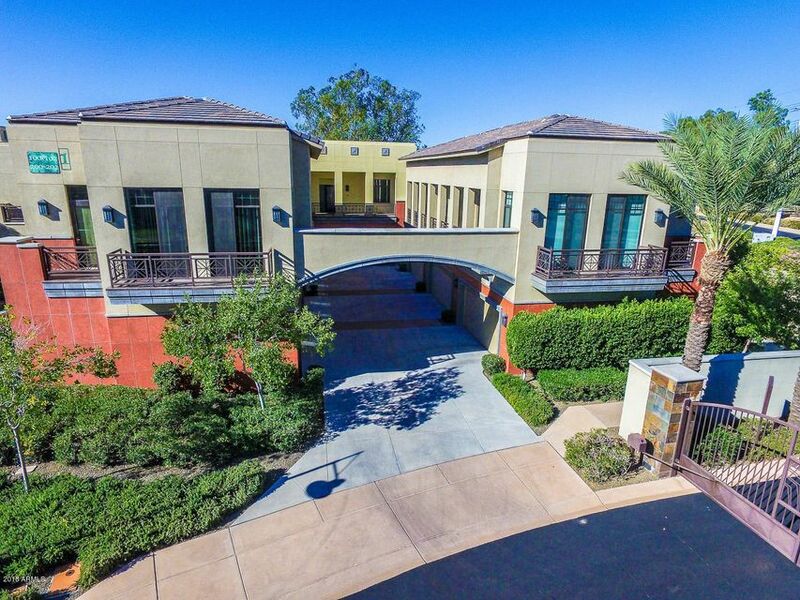 The best elevated living in Arizona can now be purchased in the luxury residence of Two Biltmore Estates. From the minute you enter the gated community you feel the elegance of this property that is in the heart of the Biltmore with the golf course, mountain, and city views! The home is highly upgraded with a chef's kitchen featuring Wolf and Subzero appliances, custom cabinetry, automatic shades, a"
"CORNER PENTHOUSE WITH SWEEPING VIEWS OF CITY, MOUNTAINS, AND GOLF COURSE. 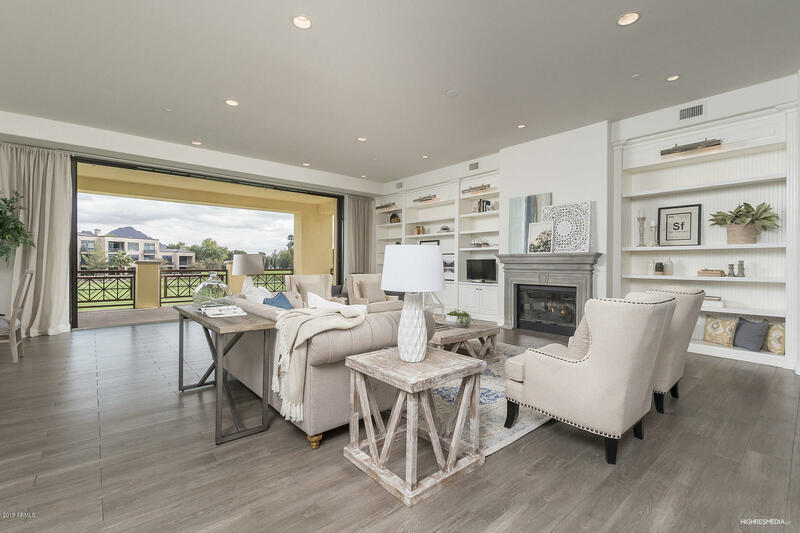 16 foot ceilings, 10 foot tall sliding glass wall, and open floorplan - this offers the lifestyle of a luxury custom house, and the low maintenance of a condominium. Chef's kitchen with large island open to the family room makes this a spectacular space for comfortably entertaining large groups. Spacious patios foroutdoor dining and entertaining. 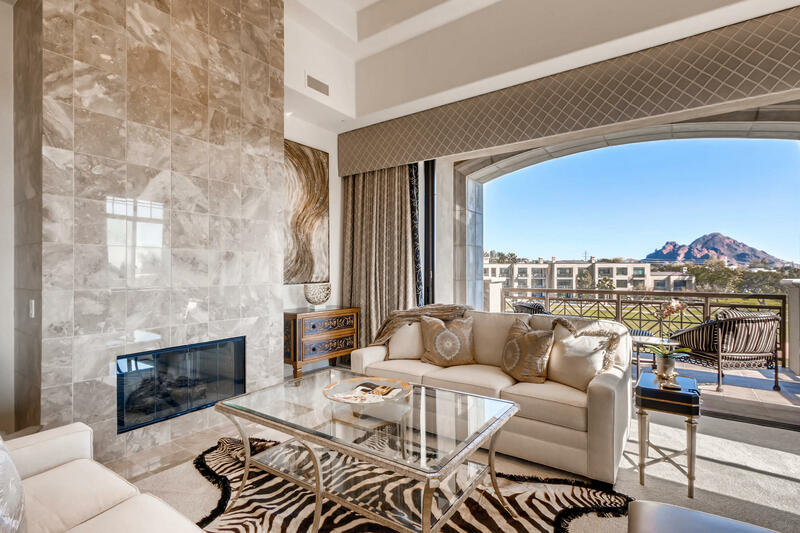 A+ master suite has a cozy patio for coffee in the morning gazing at Camelbac"
"Incredibly Upgraded World Renowned Arizona Biltmore Luxury Vila, nested in the middle of the most exquisite golf course, mountain and city light views within the heart of the Biltmore. Steel framed stacked condominium complex features this open floor plan, modern kitchen with gas Thermador range, Thermador Stainless Steel appliances, an amazing large master bath w/walk in closet, automatic Toto Toilet, double sinks with large mirrors, walk-in decor tiled shower, luxury tub, and much more. Incred"
"Looking for Views, Resort Style Living, & amenities like nowhere else, look no further! Whether you want to sit on the balcony during the day & enjoy the Biltmore Golf course views or have a glass of wine basking in the moonlit sky gazing at the Wrigley Mansion. This condo has them both. 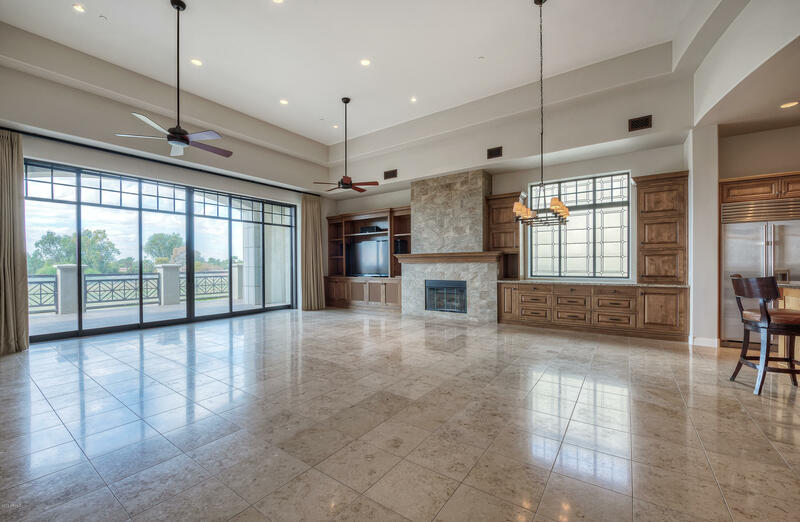 Custom travertine floors, custom cabinetry, electric shades, custom drapes, Sub Zero and Wolf appliances, custom built ins for included flat screen TV's in living and master bedroom. This luxury condo has a sepa"